Recently the portal VirtualTourist has published a list of the European cities that its users – experienced travelers – advise to visit this summer without fail. 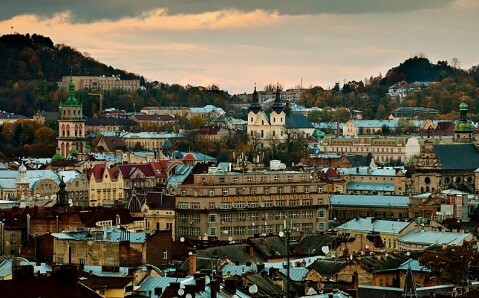 Lviv was mentioned as the leader in tourist attractiveness. It is one of the most beautiful cities of Ukraine and of the Old World. In turn, we have prepared a list of seven things, which you should inevitably do in order to get the most out of visiting Lviv. The observation deck, situated on the tower of the Town Hall at the Market Square, is one of the most frequently visited places in Lviv. And there is no surprise in that, for it reveals breathtaking views of the unique architectural ensemble of the historical center, which looks like an outdoor museum and is listed among the UNESCO’s World Heritage Sites. In order to get a bird’s eye view of the Old Town, you will have to walk up more than 400 stairs. But then, on your way up, you will have a chance to see the mechanism of the Town Hall’s clock, which was produced one and a half centuries ago in Vienna and is one of the oldest clock’s in Ukraine. You can also enjoy the amazing panoramas of the old Lviv from the observation area on the top of the Zamkova Mount. It is situated on the territory of the park ‘The High Castle’ in the historical center. This mount is a handmade barrow, erected to commemorate the anniversary of the Lublin Union, in the late 19th century. It is the highest point of Lviv. The best time to feast your eyes upon the city landscape is in the evening, when the age-old city is flooded with golden sunset light. In addition to the observation area, the mount features the ruins of the defense wall, ancient grotto and sculptures of lions. The ruins remained from the princely castle, built in the 14th century. 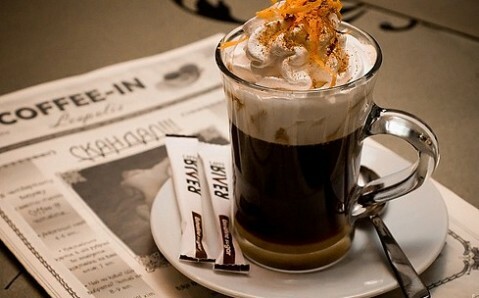 Lviv is the city of coffee culture: aroma of this amazing drink can be sensed everywhere. It was the native of Lviv, the merchant and warrior Georgy Kulchynsky, who glorified coffee throughout Europe. In the 17th century, he saved Vienna from the siege and was awarded with 300 sacks of coffee beans. He then founded the first chain of coffee shops on the continent, in Vienna. Visiting local coffee houses, which have long become city’s trademarks, must be an obligatory point in the Lviv visiting itinerary: they offer different sorts of coffee in various cooking variations that enable you to feel its rich and inimitable taste. 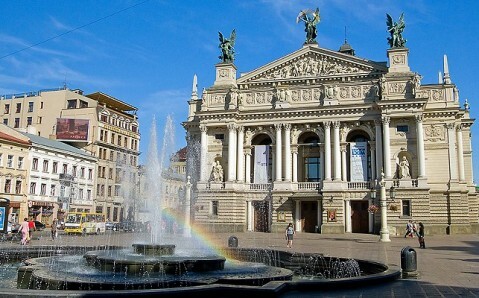 Lviv Opera House is one of the most beautiful theaters in Europe. 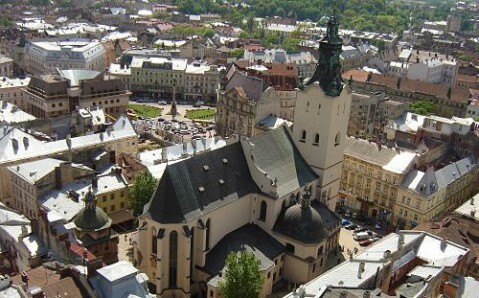 Its magnificent building is called Lviv’s main symbol and gem. At the same time, it is worth seeing not only its fantastically decorated facades, but also the incredibly beautiful interiors. Therefore, use the chance to visit a performance there, and if you are not fond of opera staging or don’t have enough time, just go inside in order to admire the luxury of the Lviv Opera House’s inner décor. However, it is better to come there as part of a guided tour in order to learn more about the history and the legends of this amazing monument of architecture. The Lychakiv Cemetery has a status of the Historical and Memorial Reserve. This astounding necropolis is one of the oldest in Europe: it is older than its well-known ‘fellows’ – the Parisian Père Lachaisein and the London’s Highgate. It is a real outdoor museum, whose more than 40-hectare-large territory houses 3 000 gravestones, monuments, and vaults. Many of them are not just masterpieces of art, but also important components of Lviv’s cultural and historical heritage. The necropolis has the form and character of the park area – shady paths and walkways are arranged there. Walking along them, it is convenient to get acquainted with Lychakiv Cemetery’s architectural and sculptural riches. Lion is a symbol of Lviv. In addition to that it is depicted on the city’s coat of arms, you can find about three thousand lion sculptures of varied types and sizes in Lviv’s streets. Looking for them is often an unforgettable adventure for city’s guests. 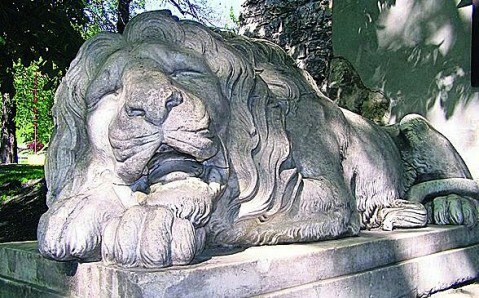 One of the most famous sculptures – the sleeping lion – is situated near the Gunpowder Tower, in the historical center. This lion is considered to be city’s talisman: both Lviv’s locals and visitors try to pat the stone lion, believing that it’ll bring luck. But the record holder for the number of city symbol’s sculptures is the main building of the National University ‘Lviv Polytechnic’ – there are more than fifty lions over there. 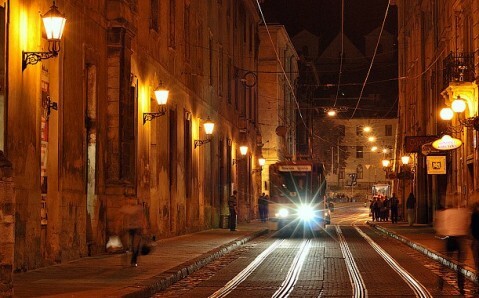 Lviv’s another symbol is the tram. The peculiarity of the local tram system, which has a history of more than a century, is that tracks are laid along the most beautiful streets of the age-old city. Even without searching for special excursion routes, you can take a ride on a city tram and you're guaranteed to see its brightest attractions.